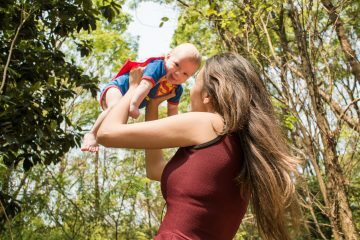 So you’ve decided to take the plunge and take your baby abroad for the first time. As a mum who has travelled extensively with her two boys, I know how daunting a prospect it can be – especially when you have to leave the security of home. But taking some baby travel essentials will make all the difference to your trip – I promise! What holiday essentials for a baby? 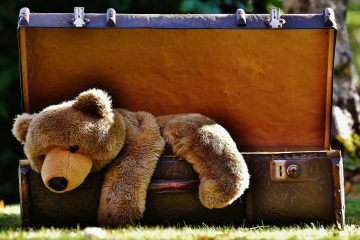 Travelling abroad with a baby or a toddler often throws up a cacophony of items that get left at the bottom of the suitcase. I used to think that packing everything but the kitchen sink, would mean that I was prepared for every eventuality or outcome, but actually, in reality, it meant that I was stressed out even before we’d left for the airport. And inevitably, most of the carefully selected products would be untouched, adding to the burden of having to lug it all back home again. Does this sound like something you can relate to? Travelling with Monkey over the last five years has made me realise there are certain items that we can not live without, which has helped make our last two trips with the baby so much simpler, less stressful and more relaxing. Honest! So here are my absolute baby travel essentials if you want to take your little one on holiday. And, even better – here is also a free downloadable baby packing list for all the other items you will need to take, too. We don’t use our Maclaren Techno XT on a daily basis at home, but we always take it with us when we go travelling. 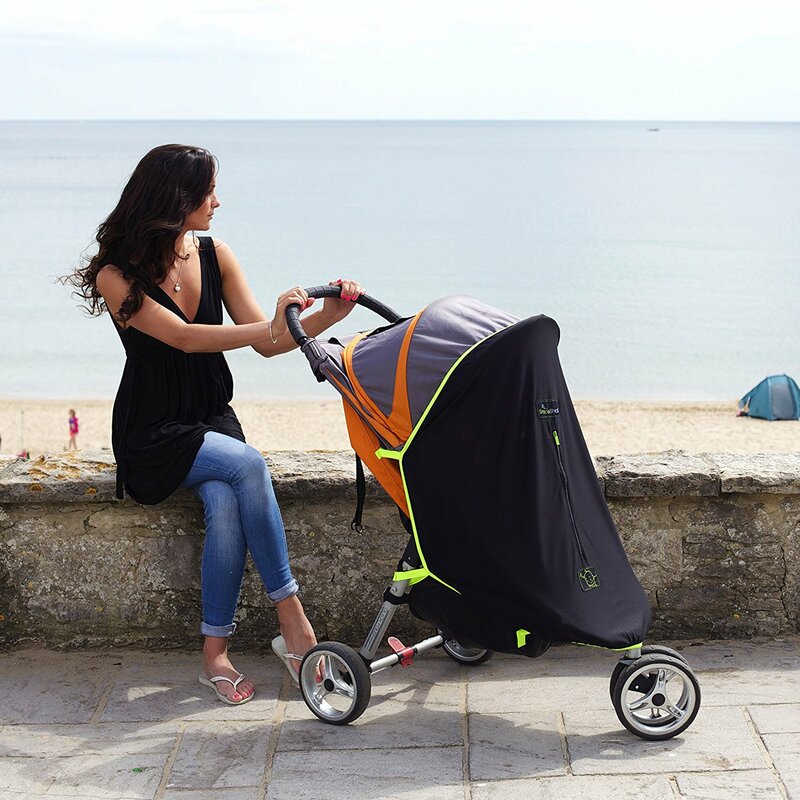 It’s a brilliant stroller for so many reasons, but mainly because it’s easy to fold, lightweight and fully reclines – plus it’s suitable for newborns. It has been used so much, that I’m not sure if we could have gone away without it. The fully reclining position and extendable leg rest mean that when you need your baby/child to sleep, they’re flat on their back. This has been a saviour for us when we’ve wanted to go out of an evening and put the baby to sleep in the pushchair. 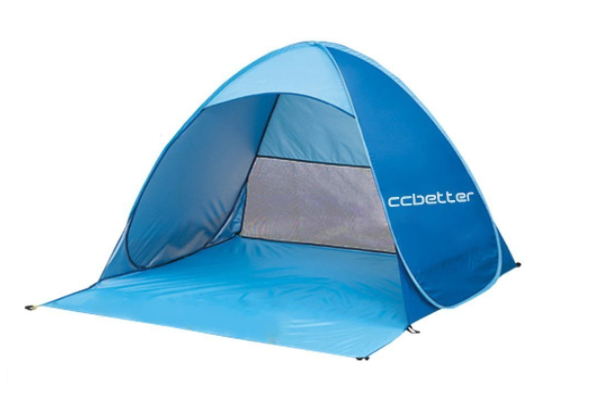 Plus it’s easy to navigate (even on the hills of Lisbon) and has a large expandable hood and sunshade. 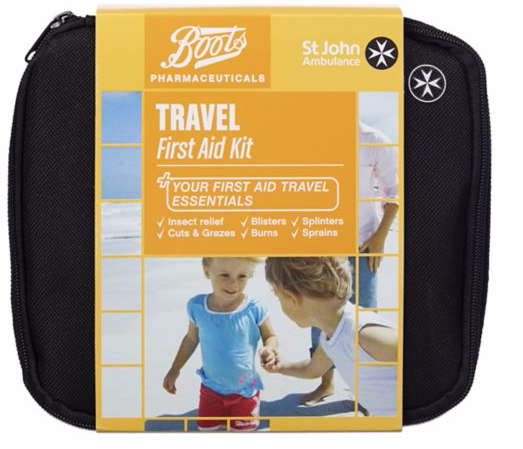 When I first went travelling on a trip around the world, my first aid kit contained everything from clean syringes to water purification tablets. Having it with me throughout my journey had a soothing effect – it’s always good to be prepared. Now, we still always take one with us, whether we holiday at home or abroad because you never know when you might need something there and then. The great thing about buying a travel sized kit is that it contains all the bits and pieces you need for minor accidents, but there’s always plenty of room to embellish the stock by adding Calpol sachets, Germolene, Dioralytes, diarrhoea pills, antihistamines and painkillers. We even have teething gels. 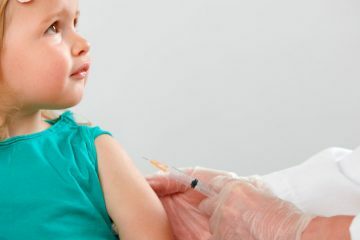 Of course, you can always get medicines abroad, but it’s having that extra safety feature close to hand which is reassuring – there’s nothing worse than being stuck somewhere without the kit you’re used to. 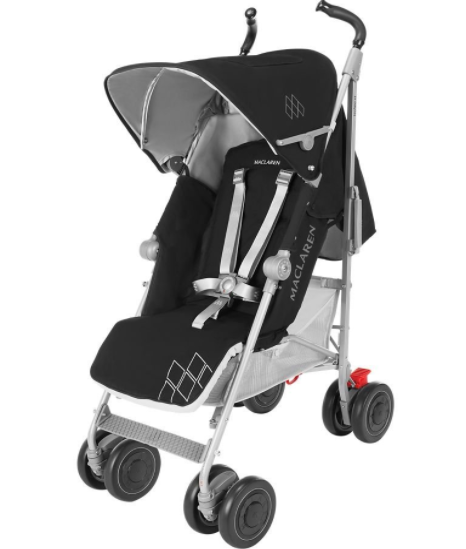 Our snooze shade pretty much goes hand in hand with our XT stroller. 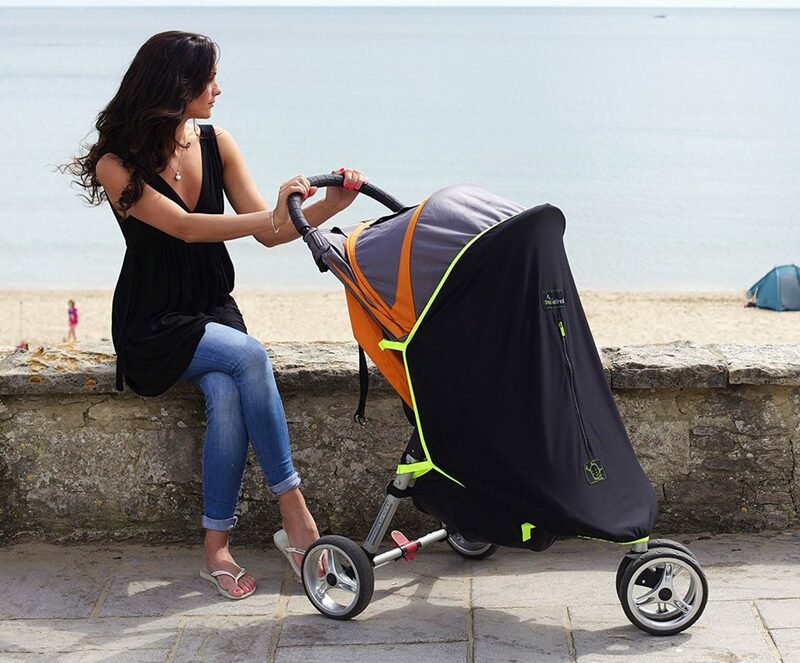 If you haven’t heard of a snooze shade it’s a fantastic invention as its universal fit means it works on all different brands of pushchairs and buggies. 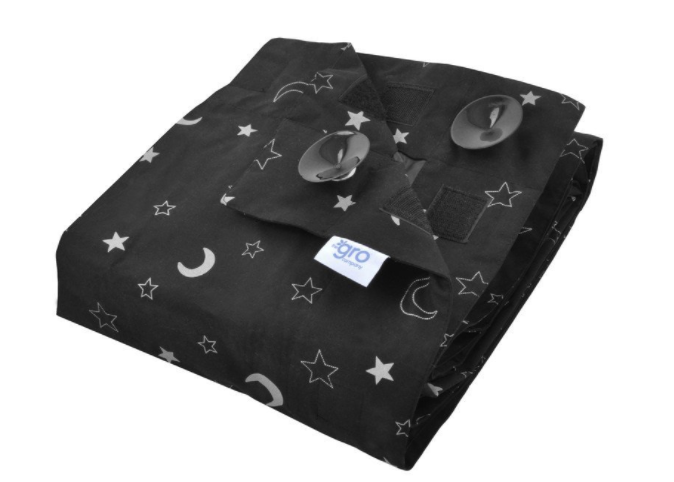 It not only keeps the sun off your little one, as well as flying critters, but it’s also a great solution when you have a napping baby or toddler, as it maintains a dark environment and blocks out any distractions. We always use it when the baby sleeps. 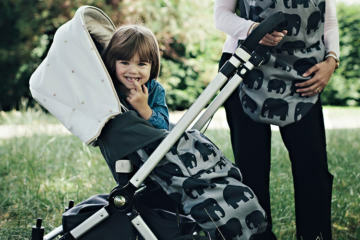 A sheepskin liner makes a noticeable difference in terms of comfort, and padding out a pushchair. Lambskin has a soft, fluffy texture that means it keeps baby snuggly and warm in winter, and in hot weather, it has the opposite effect, keeping baby cool. Before we brought one, Peanut wasn’t so enamoured sitting in his pram for long periods, but now he settles well in it, even sleeping in the pram during the night, if we’re out and about. As all parents will testify, babies and children can get grubby very quickly and, while I don’t really want to do any washing while I am on holiday, it sometimes is unavoidable. Especially on clothing, you would like to keep… rather than slinging it in the bin. We always use Dr Beckman – a little goes a long way and I love the smell of it. Taking your own car seat when you have a baby is the best way to ensure your child is safe while travelling in a vehicle but what can you do to protect it during transit? After some searching, I found a car seat protector which not only comes in a handy fold away pouch but is bright red and easily identifiable on the luggage carousel. We’ve used it twice now, and our car seat, and the bag has been left unscathed after the stresses of both journeys. 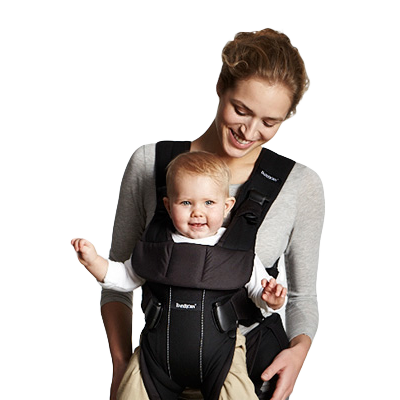 I’ve tried many different brands of carriers over the years and I keep going back to my good old faithful Baby Bjorn . Not only do I find it comfortable to wear, but it also fits nicely under the pushchair. Then, once you board the plane, it’s fantastic for being able to calm baby during the flight. Whenever the boys have got cranky, I’ve walked up and down the plane with them strapped to me – much easier than holding a restless child. And, when you disembark, more often than not, the pram isn’t there, so you have to walk some distance through the airport to passport control. It’s also useful when you can’t take the buggy somewhere. Peanut absolutely adores his bath time, much like his brother did at his age. So we were determined to get him in the water on our recent trip to Sardinia. 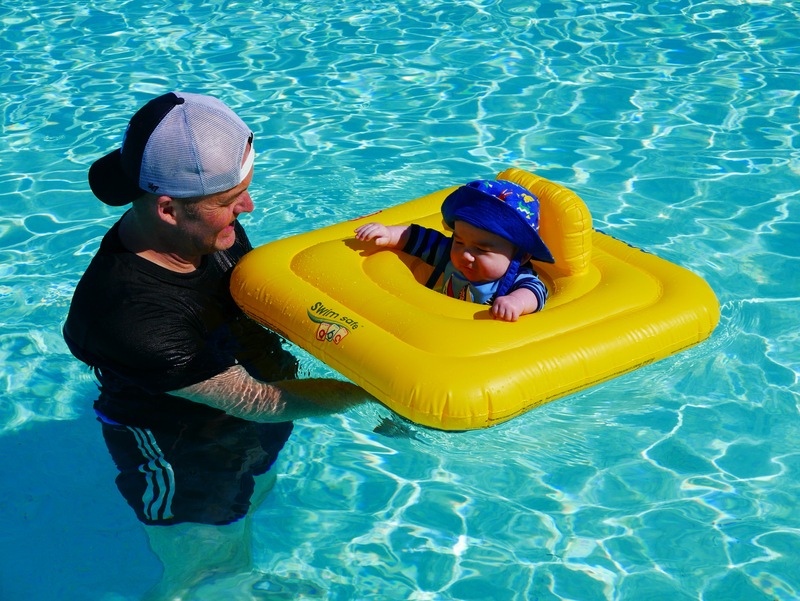 A baby float is a pool essential on holidays – helping your baby get used to the water and giving parents a piece of mind that they are fully supported. Ours is over five years old and still going strong! I just love sun protection swimsuits. 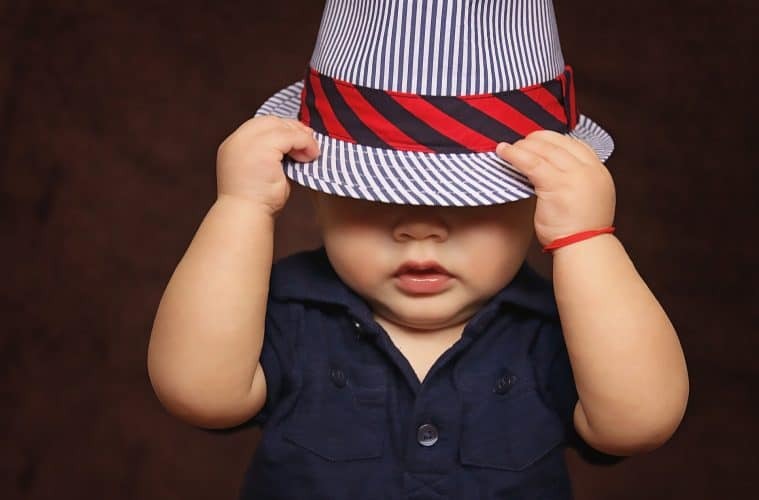 Not only do babies and kids look adorable in them, but they are so brilliant at shielding their delicate skin. They protect children from UV Rays up to UPF 50+, and keep them cool while playing in the sun. Not only that, but anything to minimise rubbing sun cream onto squirmy babies can only be a good thing! There’s nothing worse than being on a beautiful beach with no sun shade – especially when you have children. We bought a sun tent some time ago to use in our garden, and since then, have always packed it with us when we go away. At first, we were unsure if it would fit in our luggage, but this one folds down flat and is simple to put up, too. It literally just pops open. It’s also huge – and can fit 2-3 people underneath. It’s great for napping children, too, or just as a shady base for babies to lie in. If you bottle feed your baby, the amount of equipment you have to bring can bring on a small headache. I use self-sterilising MAM bottles , which are fantastic if you have a microwave to hand, but if you don’t, what to do then? In order to use sterilising tablets, you need a container that will hold up to a litre of water for a 24 hour period. Hotel room sinks are an option but only if you have more than one. I found these strong sterilising bags which can be hung up on a sturdy hook. They’re roomy enough to fit several bottles and other items such as dummies. I have always taken them with me, just in case. My boys have always preferred sleeping in a dark room – but when you go away, there is no guarantee that your accommodation will have blackout curtains, blinds, or shutters. This Gro Company Anywhere Blackout Blind has come in useful over the years. It folds up neatly so doesn’t take up much room, but this handy piece of kit does really make a difference. Most establishments these days do offer up high chairs, but there are some occasions abroad, where you can be caught out, so it’s better to have one, than not. We love this high chair which folds up neatly and is not only lightweight but wipes clean. It’s great because it turns any seat into a secure high chair, and can easily be stored under a pram if you’re out and about. 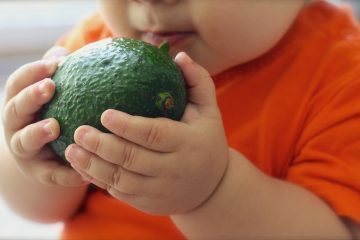 What are your baby travel essentials when you go away? Are there any items that you just can’t do without? Love to hear your thoughts. Disclosure: This post contains affiliate links. If you click on an affiliate link I may earn some advertising fees if you make a purchase. You will not be charged extra for this. 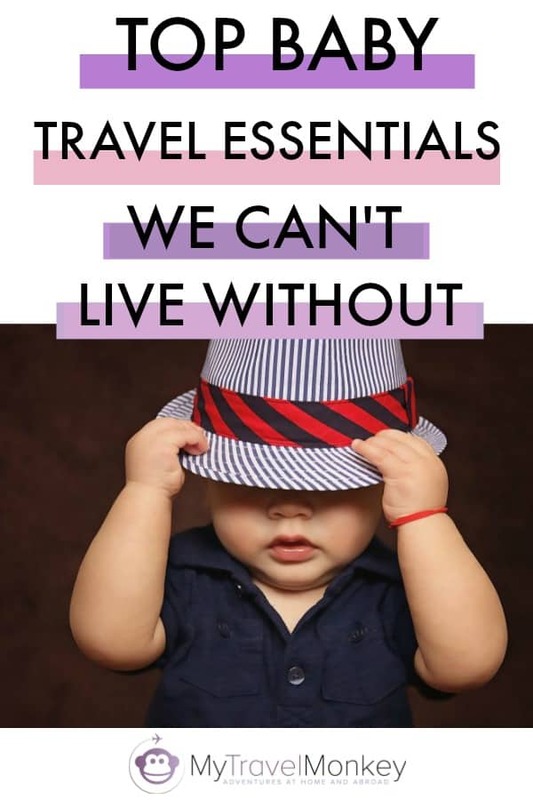 I must say a good list of baby traveling essentials thanks for sharing this post with us.